Daffodil is a digital library system targeting at strategic support during the information search process. 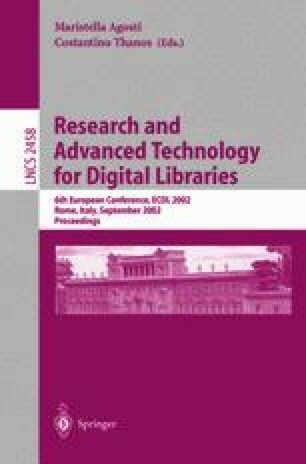 For the user, mainly high-level search functions, so-called stratagems, implement this strategic support, which provide functionality beyond today’s digital libraries. Through the tight integration of stratagems and with the federation of heterogeneous digital libraries, Daffodil reaches a high synergy effect for information and services. These effects provide high-quality metadata for the searcher through an intuitively controllable user interface. The visualisation of stratagems is based on a strictly object-oriented tool-based model. This paper presents the graphical user interface with a particular view on the integration of stratagems to enable strategic support. Funded by the German Science Foundation (DFG) as part of the research initiative “Distributed Processing and Delivery of Digital Documents”.